This is a horrible story. It really is. Dahmer likes to collect dead animals he finds, and strip them to the bone, just to see what's inside. But he also enjoys the company of friends at school. The bizarre interactions between him and his friends further illustrates just how strange Dahmer is, even though he is beneath everyone's radar. The story follows his family problems, dark fantasies, and his alcoholism in high school. He tries to numb the darkness within by inebriating himself constantly, and no one intervenes. His parents are too busy with their own tumultuous marriage and divorce. His teachers don't notice. One poignant thing, I took away from this book, is how just about any unassuming suburbanite could have the dark fantasies that Dahmer had. Dahmer was a person. He was a person with dark thoughts, and he was a person who ultimately did horrific and unforgivable deeds. He was a person, who let his dark fantasies enslave him. The illustrations supply a wonderful tension between Dahmer trying to fit in and trying to appease his darker desires. The drawings are not in the style that I immediately enjoy, they resemble more of the underground comic style, but they grew on me. I enjoyed learning that this is not the first version of this work. 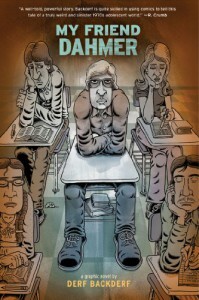 Derf originally published My Friend Dahmer as a much thinner, less researched comic that had an underground following. In the book, he explains how the original fell short of what he wanted it to be, and how this newer version better captures the vision he had in illustrating Dahmer as a high school student. What finally made Dahmer snap? We may never know. But Derf does a spectacular job in making the case that perhaps, adults in Dahmer's life could have been more present, more aware of his situation. I will point out that while the book itself is dark, and has some graphic scenes, most of the it takes place in a boring suburb. I think that is one of the most chilling things about this whole event, is that such a horrible darkness could be lurking beneath such a boring and mundane surface. 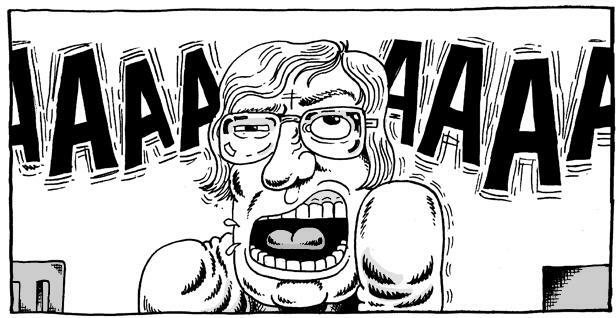 From beginning to end, My Friend Dahmer keeps the reader interested. It pulls you into Dahmer's whitebread, suburban hell, like an unforgiving imp, and doesn't let go.